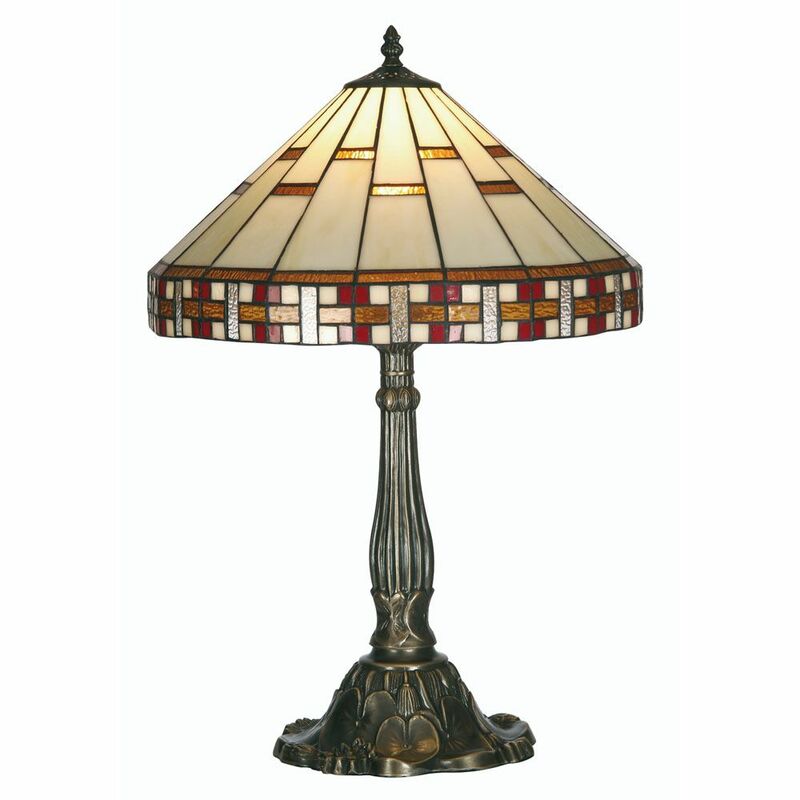 The Oaks Aremisia 16" Tiffany Table Lamp Has A Geometric Tiffany Design Glass Shade Complimented With A Decorative Detailed Antique Finished Base. The Oaks Lighting Aremisia 16" Tiffany Style Table Lamp Has A Geometric Tiffany Design Glass Shade And Is Complimented With A Decorative Detailed Antique Finished Base. This Aremisia Tiffany Style Table Lamp Has An In-Line On/Off Switch.